Home>Music> What Happened To Charles Hamilton? The rap blog era was a pivotal epoch for the dissemination of independent rap music. For a period of the mid-to-late aughts, a handful of blogs were daily must visits, and in the pre-streaming world, right-clicking on mp3s was as compulsory as rocking some unfortunate colorway of Creative Reactions. The field of artists that arose in this digital wave of course had its winners and losers. It’s hard to downplay the mark that was left by, say, a group like the Cool Kids, but it's also probable that you've quarantined the section of your iTunes that held your Chiddy Bang tracks. When surveying the landscape of what was the rap blog era in its prime, it’s hard to not envision a different career arc for Charles Hamilton, a rapper who seemed poised for meteoric success. His 2008 mixtape, The Pink Lavalamp, has endured as a touchstone of the period if it’s to be assessed honestly, and it can’t be understated just how ubiquitous the song “Brooklyn Girls” was for those who recall this point in time. After a string of well-received tapes, a $1 million deal with Interscope, and a placement on the 2009 XXL Freshman Class alongside contemporaries like Curren$y, Kid Cudi, and Wale, Hamilton had the auspicious beginnings to a promising career that never quite materialized. So, what exactly happened to Charles Hamilton? In short, a lot. Within a year of his signing with Interscope, his album was shelved and he was dropped from his label. This particular setback is not all that uncommon when an artist jumps to a major, but for Charles Hamilton it was a nascent fissure in what played out to be a very public crumbling. Soon his behavior began to skew more and more erratic: a video surfaced of Hamilton being punched out by his girlfriend, he began blogging (and rapping) compulsively about a fictitious relationship with Rihanna, and he strangely named a deceased J. Dilla as the executive producer for his album This Perfect Life. Once a darling of social media, Charles Hamilton quickly became the subject of mock and ridicule. A low point for the rapper was reached in 2010 when he was arrested for felony assault of a police officer in Cleveland, Ohio. He’d end up in various forms of incarceration for the next eight months, but underlying his confounding actions was the fact that Hamilton was struggling with an undiagnosed bipolar disorder, as well as substance abuse issues. The way we discuss mental health and the social stigma that surrounds it— particularly in the rap world— has changed a bit over the past decade, but Hamilton fell prey to some antiquated public opinions on the subject, finding himself unfairly memed across the greater rap internet. The Cleveland incident proved to be a catalyst to Hamilton seeking treatment and bettering his health, and In 2012 he began an earnest comeback, releasing his appropriately titled 5-track EP The Come Down, which suggested a return to form for the Harlem rapper. In 2015, he teamed up with Rita Ora and scored a modest hit in “New York Raining” (his first single since “Brooklyn Girls”), and he even had an appearance on the Fox behemoth Empire, while also giving interviews for the first time in years, about his mental disorder. 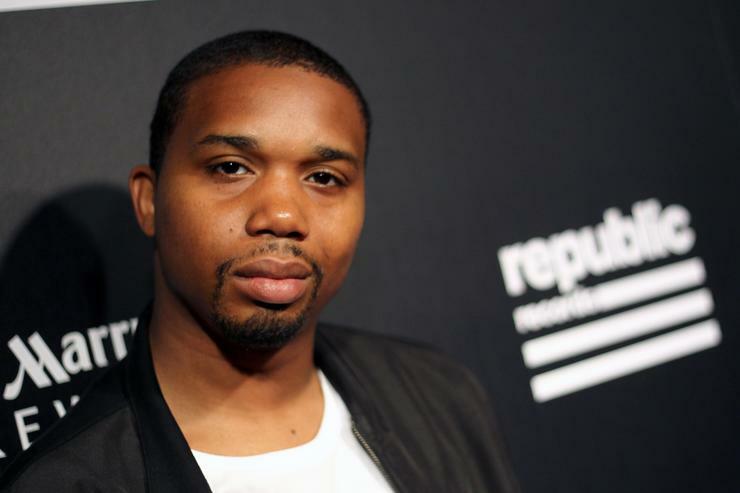 In 2016, Charles Hamilton finally dropped his major label debut Hamilton, Charles, which was met with largely favorable reviews. So as Charles Hamilton scraps his way back into a rap scene that’s changed significantly since he first emerged, where exactly is his place within it? It’s inarguable that he was one of the early stars in the rap blog era— a time that was more dependent on tastemakers than the current landscape of rappers developing organic followings on SoundCloud— and his influence can be found near and around some of today’s biggest superstars in the genre. If we’re to look at the intersection of nerd culture and hiphop— an increasingly palatable and at times in vogue avenue, musically— Charles Hamilton has earned a seat at the table when it comes to those who’ve given it a stylistic rise. We are talking about a guy who has made multiple mixtapes themed around Sonic the Hedgehog, with bars praising the video game character to levels that are usually reserved for a deity. It’s not a huge stretch to think that rappers like Childish Gambino, Tyler, The Creator, or even Chance the Rapper owe something significant to Charles Hamilton, especially as they hold a position much higher than he does at this point. It’s an interesting question to ponder: where would Charles Hamilton be today had it not been for a career derailment that was largely out of his own control? As a producer and a rapper, he could have quite easily had a similar trajectory to someone like J. Cole (whom one could make a case for being a "Diet Charles Hamilton" in the first place). Looking back on that 2009 XXL Freshman Class, rappers like B.o.B., Asher Roth, and Wale have gone on to significantly greater success, but it’s tough to say that they’re anywhere in front Hamilton, talent-wise. The greater and maybe more tragic question is would his public mental health breakdown have been viewed differently in 2017? Would his label have stuck by him? Would more artists, some of whom are deeply indebted to him style-wise, have shown more support? It’s impossible to answer with any certainty, but there’s a high potential things could have gone differently. Charles Hamilton is a rapper that’s easy to root for when it comes to making a comeback. A talented artist who at the relatively young age of 30 the game has unjustly passed by, a revisit to his music can be eye-opening in terms of the effect he’s had on the internet rap era. “Brooklyn Girls” opens with a pretty familiar sample, K.P. and Envyi’s “Swing My Way,” which has been used a fair amount, but probably most notably by recent fellow internet success story Bryson Tiller on “Exchange.” It’s a lingering, earworm sort of reminder that though the internet platform has launched a great many stars since the mid-aughts, there was one Charles Hamilton, and frankly, he deserved better. MUSIC What Happened To Charles Hamilton?